There is a varied selection list for choosing the walkway patios which include flagstone, pavers, clay brick, and exposed aggregate and concrete patio. These stones help in making personal courtyards. 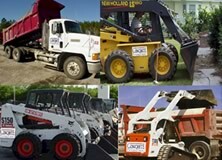 They can be made highly catchy and stylish in look. 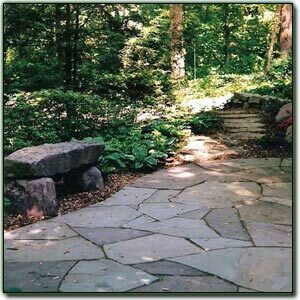 The flagstone is a thin stone used in making beautiful patios in and around the house. The flagstone patios are made in the backyard, walkways and other yards. 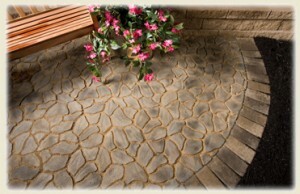 The durability of the flagstone patios can be maintained by laying them with sand and gravel. The walkways made with cement are not so long lasting as compared to sand/gravel as the cement will collapse and fall down very soon and the complete flagstone has to be bought and it has to be made all again from the very beginning. While maintaining such walkways in or aside the houses, the important factors like present costs, reselling value and the style of the flagstone patios must be kept in mind. They must look trendy and cool too. Measure the patio to determine the shape, depth and style of the patio that is being designed. This will give a complete idea of how it will be laid. Take the material necessary for laying the patio. This will include gravel, sand, board and flagstone. Make important markings over the board to quickly decide the patio’s technique and design at the tie of lying. Take a flat spade and dig the earth till the required depth keeping in mind the style and type of patio you have to design. Is it a raised or excavated patio or a normal one? This will affect how much digging is required. Place the landscape patio fabric over the ground but keep in mind that the enough space is left for the overlapping the edges. The wooden and stone edges should be met finely with each other. Placing the gravel is the most important and crucial task for laying the patio. It must be placed evenly for a fine look to the patio. Lay the pavers and stones keeping in mind the level. The gravel and sand must be placed under them to support them and make them firm. Remove extra gravel wherever necessary. The final step is maintenance. Putting sand and gravel or just laying in the stone is not all done? You have to note that are all the stones fixed in the space and if one of them come your suddenly, you will have to fix it by putting sand and gravel again into it. People who make their flagstone patios on their own must remember the tools and techniques used for laying the flagstones like wheelbarrow, flat spade, chisel, round shovel, leveler, tamper, tube and water, hammer, gloves , Metal scrape, broom, goggles, steel toe boots and a light dusty broom, gravel, sand, flagstone, board and a cloth for landscaping. These tools will make you help constructing one’s own yard flagstone patio.